Previously, the Date and Time of Entry appeared as a separate section. 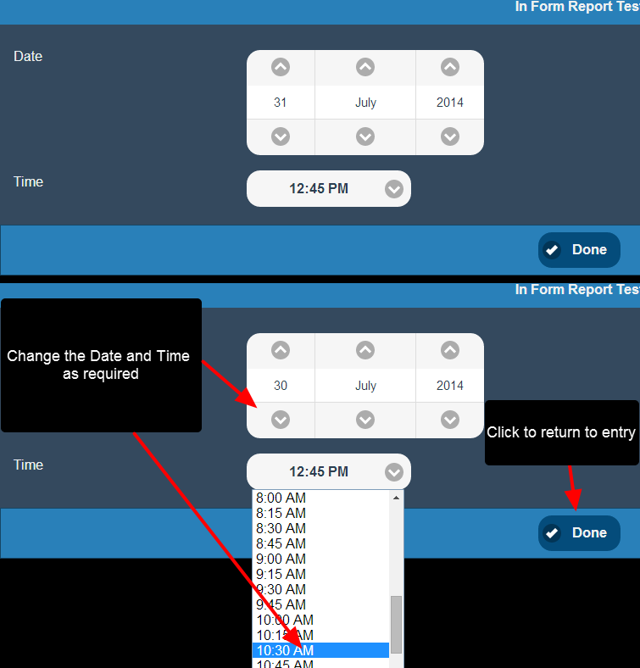 Click on the Entered On field to change the date or time. Click Done when finished. Complete the rest of the entry as usual.